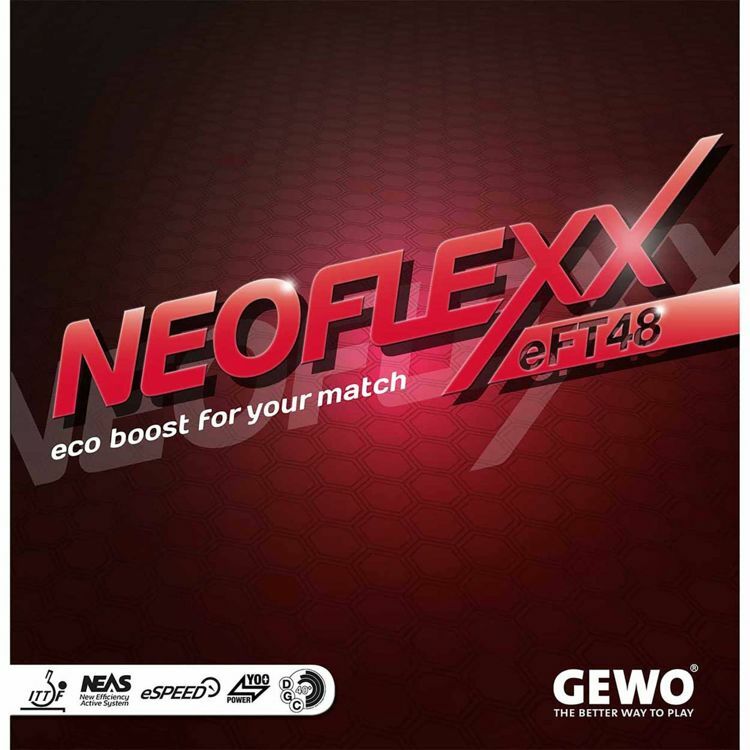 More feel, longer ball contact time and higher spin ratings are the key features of the economic-Tensor rubber GEWO Neoflexx eFT 48.
.	For dynamic, spin-relying offensive players focusing on topspin attacking but still requiring sufficient control in over-the-table or passive playing situations. The GEWO Neoflexx eFT 48 opens up a whole new dimension of table tennis fun.
. Speed and spin can be varied and controlled just perfectly - the precision of placement is impressive! Great control in serve-and-return situations.
. Ideal for players who would like to try something different than classic rubbers and haven't switched to Tensor yet, but now need more speed and dynamics in their play to cope with the 40+ ball without loosing control and reliability.